Flame, smoke, and meat―these simple elements combine to make great barbecue. Creating the perfect bite of tender, spicy, smoky barbecue is a science and an art form, and Tuffy Stone―five-time World Champion Pitmaster, co-host and judge of Destination America’s BBQ Pitmasters, and co-owner of the award-winning Q Barbecue restaurants―has mastered it. Cool Smoke is the distillation of all his years of experience and wisdom. Inside you’ll find a wealth of barbecue information including: How to choose the right cooker; the best way to trim a cut of meat; how to prepare your own brines, rubs, and sauces; insider tips and hints for taking on the competition circuit; and more than 100 creative, delicious recipes to make you a barbecue master. The recipes include classic barbecue dishes with updated preparations like Smoked Ribs with Cherry Barbecue Sauce, Dove Breasts with Crispy Bacon and Chipotle White Sauce, and even the Holy Grail of barbecue: the Whole Hog. As no plate of ‘cue is complete without a generous helping of sides, there are also recipes for Corn Pudding with Poblano Pepper, Collard Greens with Pepper Relish, and Pineapple Hot Pot, along with delicious desserts like Frozen Coconut Lime Pie. For backyard barbecuers who are interested in taking on the competition circuit, Cool Smoke offers tips and tricks from one of the best in the business. Stone’s competition secrets―gleaned from more than a decade of success on the circuit―have never before been shared beyond the walls of his cooking school in Richmond, Virginia. Cool Smoke gives a look behind the scenes and offers advice on creating perfect competition turn-ins that have made Stone a World Champion five times over. With mouthwatering recipes, more than 200 hundred color photos, essential guides to cookers and equipment, and expert advice, Tuffy Stone’s Cool Smoke is the definitive guide to all things barbecue. 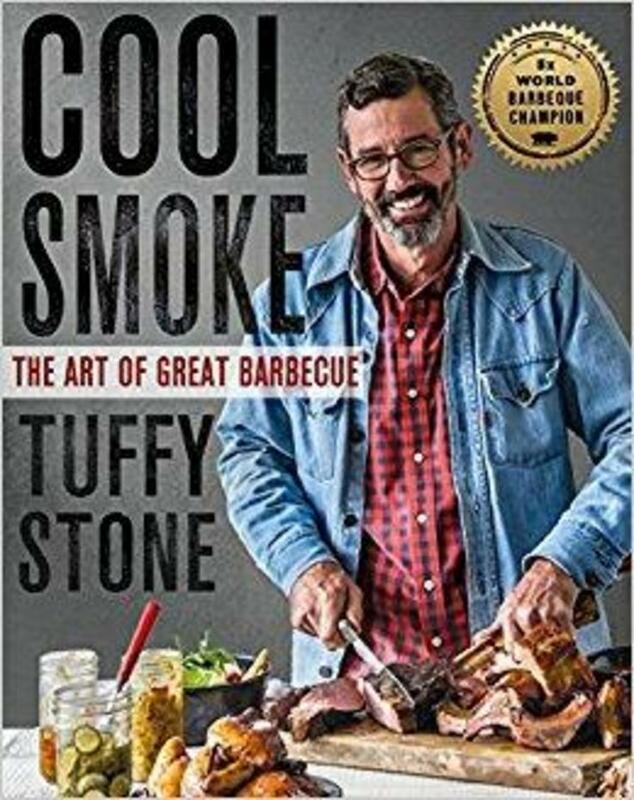 Tuffy Stone is many things: a World Record-breaking champion pitmaster, a former Marine, a classically-trained chef, a businessman, and an occasional reality television star. Dubbed “The Professor,” Tuffy’s legendary precision and obsession with the science of smoke make him one of the most influential people in barbecue. Originally trained in French culinary technique at La Maisonette, Tuffy has been on the Richmond culinary landscape since 1986. After founding one of the mid-Atlantic’s most successful special events companies, A Sharper Palate, with wife Leslie, Tuffy was looking to reconnect with his culinary instincts and challenged himself to learn an entirely new cuisine. In 2004, Tuffy attended his first barbecue competition and found himself hooked. Though early cooks were humbling, to say the least, Tuffy redoubled his efforts and gradually became one of the most formidable competitors on the circuit. 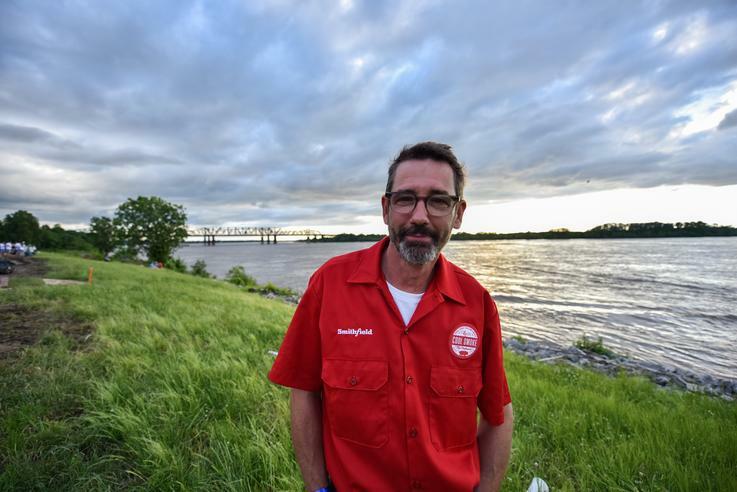 He has earned Grand Champion titles in nearly every major barbecue competition including back-to-back wins at the American Royal World Series of Barbecue, Grand Champion at the 2015 Kingsford Invitational, and his history making run at the Jack Daniel’s World Championship Invitational. In 2016, Tuffy and his Cool Smoke BBQ Team made history at The Jack, becoming the only team to ever win the contest three times and the only team to take home back to back top prizes. In addition to his place atop the competition barbecue circuit, Tuffy served as a judge for Destination America’s Barbecue Pitmasters for 5 seasons, traveled the world, including cooking for the troops in Kuwait and teaching classes at Meatstock in Australia and New Zealand, and cooked twice at the prestigious James Beard House in New York City.